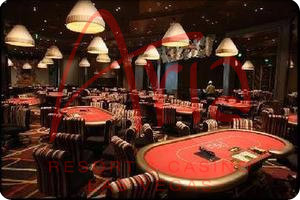 It was likely an easy decision for the brass of the MGM Mirage hotel group to decide on creating an ultra-high-stakes table in the new Aria Poker Room, and equally as much of a no-brainer to name the new room after poker mega-star Phil Ivey. Ivey is considered one of the best all-around cash game players to ever sit at a poker table, and is also one of the most feared tournament players on earth. Having won 10’s of millions in poker as well as 7 WSOP bracelets, Ivey is likely to go down as one of, if not THE, greatest poker player of all-time. Following their successful model of Bobby’s Room at the Bellagio –another MGM Mirage Las Vegas property—the casino magnates have announced a huge tournament to launch the high-end poker room which will feature a single table. The tournament is by invite only and will feature a $1,000,000 prize-pool –put up by the casino—as well as a sizeable bounty on the room’s namesake, Phil Ivey. The new Ivey Room will offer players an alternative to Bobby’s Room at the Bellagio, and has the capability of bringing in even more high stakes players to the Las Vegas strip, now that the seats have doubled! However, if you can’t make it out to Vegas you can Play Video Poker Online, at online poker sites such as Doyles Room, Full Tilt or Party Poker. This entry was posted on Friday, May 21st, 2010 at 4:30 am and is filed under Poker Industry News. You can follow any responses to this entry through the RSS 2.0 feed. You can leave a response, or trackback from your own site.